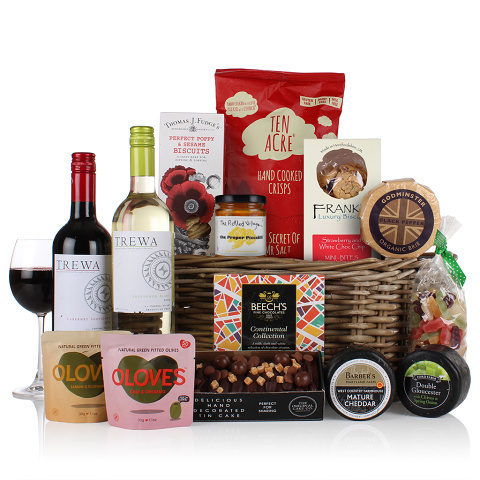 A generously sized hamper that offers something for every taste. Two wines are surrounded by sweet and savoury delights including three British cheeses. An irresistible collection all beautifully presented in a kubu storage basket.